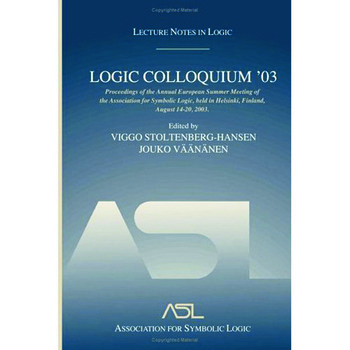 A compilation of papers presented at the 2003 European Summer Meeting of the Association for Symbolic Logic, Logic Colloquium '03 includes tutorials and research articles from some of the world's preeminent logicians. One article is a tutorial on finite model theory and query languages that lie between first order and second order logic. The other articles cover current research topics in all areas of mathematical logic, including Proof Theory, Set Theory, Model Theory, and Computability Theory, and Philosophy.